We have a strong tradition of music in Ard Scoil na nDéise. Students are given the opportunity to learn the theory of music from the very beginning. Those students with these basics mastered are encouraged to develop their skills. 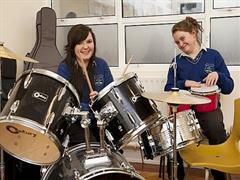 The first year programme is designed to give pupils a basic grounding in music theory in preparation for the Junior Cert. Students study notation, tonic solfa, chord construction and orchestral features. 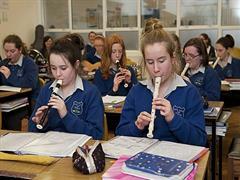 Every student also takes part in a practical class where the students learn to play the recorder. 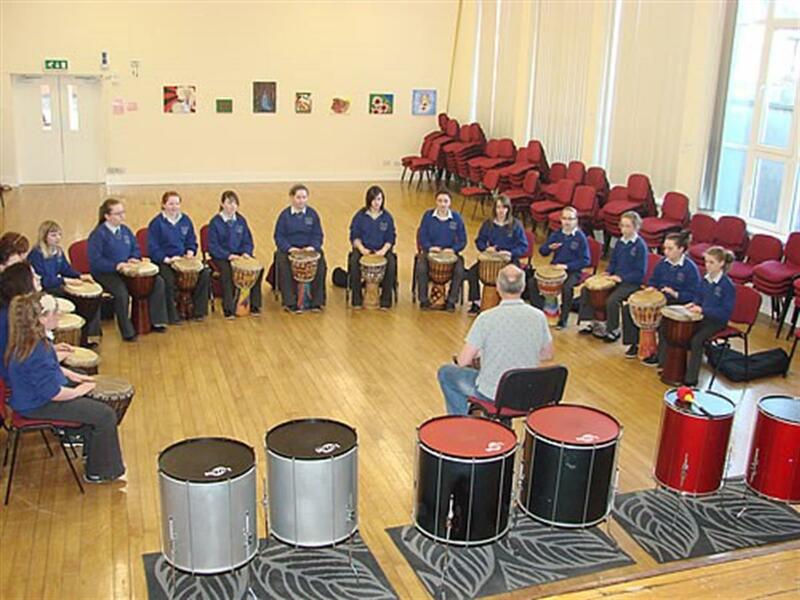 They can also explore their rhythmic sides by experimenting with many ethnic percussion instruments such as the Cajón and the bongos as well as the regular drum set! 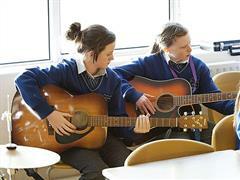 In second year, students can choose to take music as an option for Junior Cert. As well as a written paper in June, 25% of the marks are awarded for performance in April. 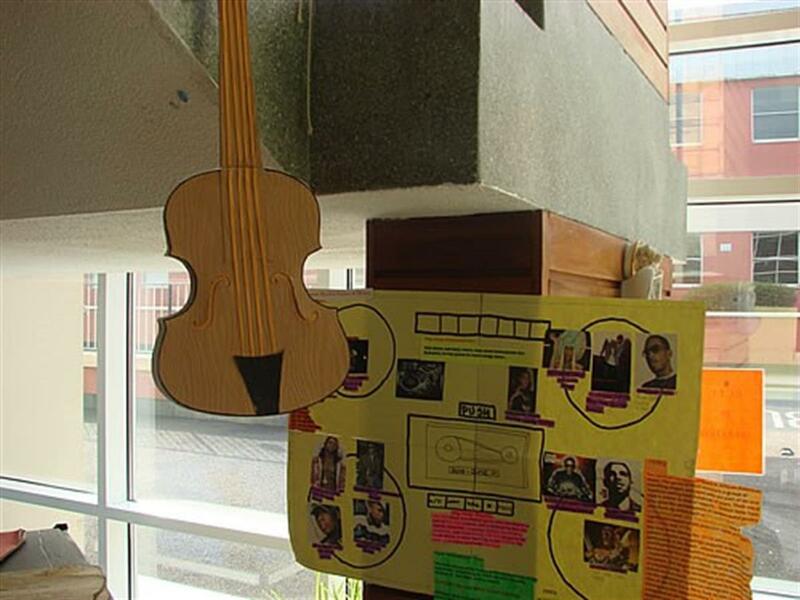 In Transition year, the girls have the opportunity to learn the ukulele, a unique instrument which has gained popularity in recent years. The Leaving Cert course is based on the three elements of music; listening, composing and performing. 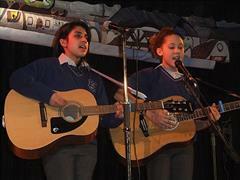 Students can take a 50% performance elective for their exam. 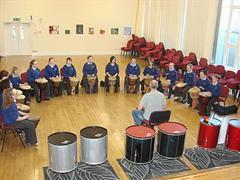 Music technology is an option for students as part of this. 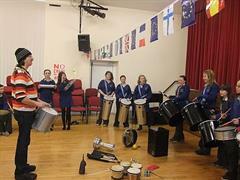 All instrumentalists are given the opportunity to perform at many school events throughout the year. 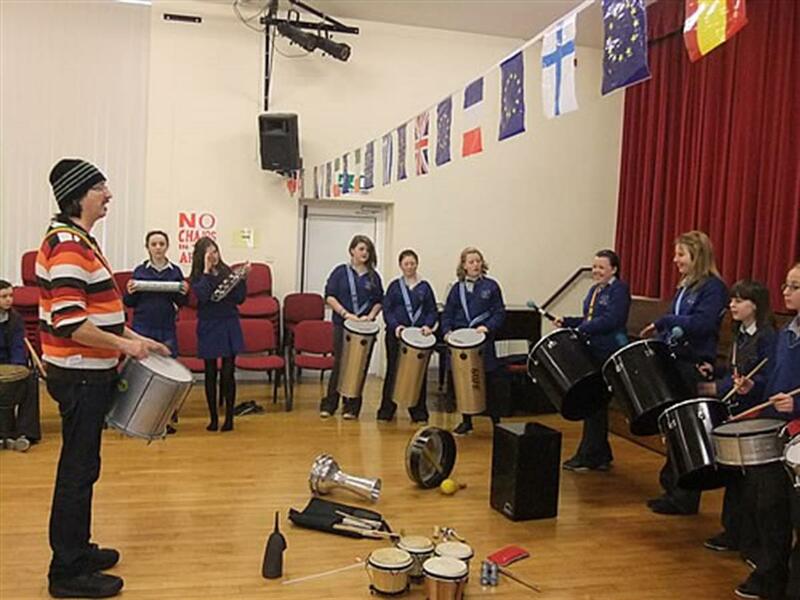 Within each music class, many choral activities take place giving the students the chance to enjoy the experience of group singing. 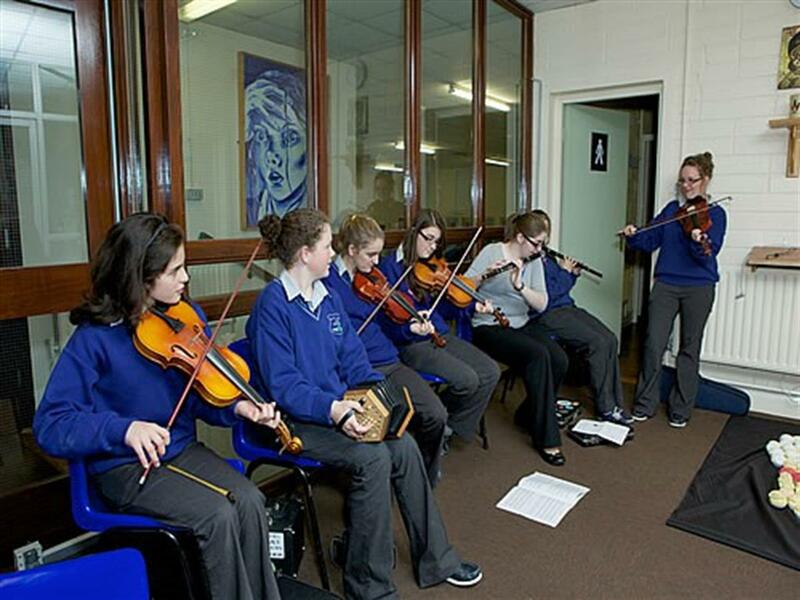 We have a vibrant Irish traditional music group within the school and new members are always welcome! 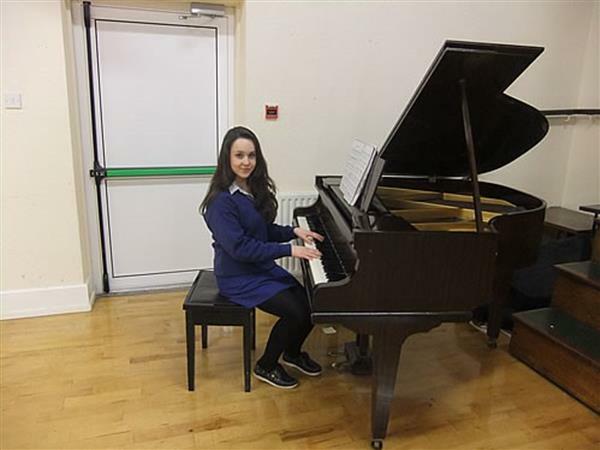 Ard Scoil students have attended two opera productions at Lismore Castle. 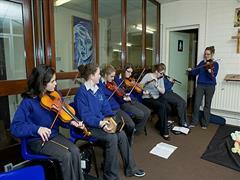 There was Rossini’s "Barber of Seville," attended that same night by President Michael D. Higgins.